Sometimes a simple reboot can be good for a fighter. After fighting on the biggest stages available, a simple trip back to the smaller stages can help shift a fighter’s momentum. Peggy Morgan sure hopes this is the case. The UFC and Invicta veteran is headed to the smaller, Rhode Island-based Classic Entertainment and Sports MMA promotion for the company’s 30th show. Morgan, who returned to the featherweight division after a brief stint as a bantamweight, will be featured on the main card opposite Jessy Miele, a 4-1 prospect who has yet to see the inside of a UFC or Invicta cage. The 35-year-old Morgan has a background in kickboxing and boxing, but she has never stopped an opponent with strikes during her professional MMA career. In fact, she has never finished an opponent by any means in a professional fight. “The Daywalker” did demolish Bethany Marshall in an exhibition fight during The Ultimate Fighter 18, however. She has relied on the judges to award her three decision wins, including two unanimous verdicts, but she has also suffered two unanimous decision losses. Across her time on TUF and her professional career, the Triumph Brazilian Jiu-Jitsu product has fallen victim to two submission defeats. The 6-foot-1 Morgan almost always towers over her opponents whether she’s fighting as a bantamweight or a featherweight, but she has a bad habit of leaving her chin exposed and tends to get rocked en route to a loss either via submission or on the scorecards. Morgan has suffered losses in three of her last four fights. 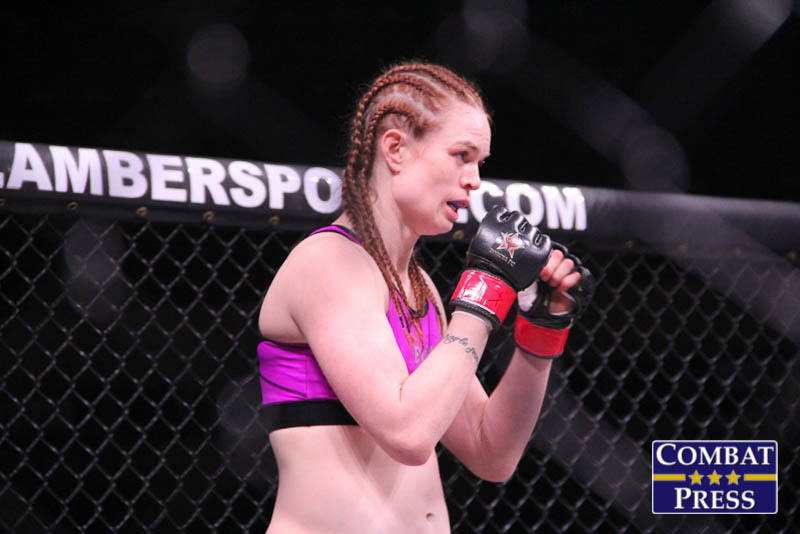 The losses came against Jessamyn Duke and Irene Aldana at 135 pounds and against Latoya Walker at 145 pounds. Miele doesn’t have the big-stage experience of Morgan. The International Martial Arts and Boxing Academy fighter, who competed in a number of sports during her collegiate career and took up MMA initially for its self-defense aspects, has made appearances under the Reality Fighting, Premier FC and Gladiator Challenge banners since making her pro debut in 2014. She lost her pro debut to Andria Wawro via submission in just 19 seconds, but bounced back with four consecutive victories, including two submissions and a TKO stoppage. Her resume features two wins over Lissette Neri. She has a background in Brazilian Jiu-Jitsu. Miele was quickly dropped with a right hand from Wawro in her debut and had no chance to fend off the Renzo Gracie disciple’s rear-naked choke submission. That one stumble is not fully representative of what Miele can do on the mat. She has competed in numerous grappling tournaments, including the Abu Dhabi Combat Club (ADCC) trials, and serves as a BJJ instructor at IMBCT. If this fight hits the canvas and Miele has her wits about her, unlike in the Wawro affair, then Morgan could be in a world of trouble. Miele, who stands just 5-foot-7, might face an enormous struggle when dealing with the much longer Morgan, who possesses a 71-inch reach and stands approximately six inches taller than Miele. When Morgan uses her size properly, she can dominate. When she lets opponents get inside, she flounders. 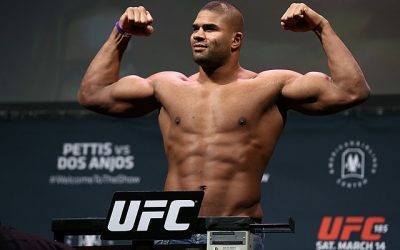 It’s up to Miele to press forward, pressure Morgan and hunt for the takedown or land a significant strike that staggers the UFC veteran. Morgan has really struggled to maintain any level of consistency or establish herself as a finisher. She narrowly squeaked by Kaline Medeiros in her pro debut, whereas Miele scored a unanimous nod against Medeiros as an amateur. Morgan has lost to the likes of the aforementioned Duke, whose biggest weakness is her tendency to get overwhelmed by her opponents’ strikes, and top competitors Aldana and Walker, both of whom feature solid stand-up repertoires. This is a great opportunity for Miele to put her name on the map, but Morgan, despite her recent setbacks, is not an easy opponent. Morgan’s length and size can allow her to stuff takedowns and gain mount with little effort (see: the Marshall fight on TUF). She also has an effective jab which, when combined with her range, could be enough to floor Miele. This should be a closely contested fight, but Morgan’s combination of experience and size provides the UFC and Invicta veteran with the slight edge. It’s likely that Morgan will have to settle for the scorecards once again, but she will get back in the win column. 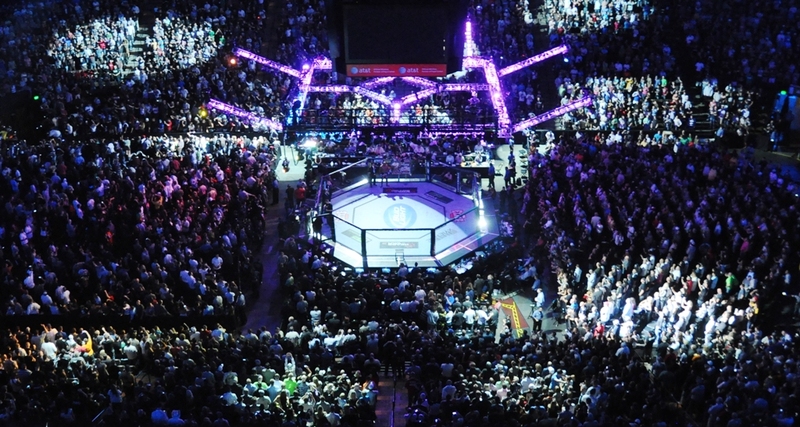 After hosting its hosting dozens of events in its home country of India, the Super Fight League went international, with several U.S.-based shows and a trip to Dubai. For its 42nd event, the company is making its first stop in Canada. The show, dubbed “Fight Night at the Corral,” features UFC veteran Roland Delorme, who is trying to get his career back on track after a three-fight skid led to a UFC pink slip. This marks Delorme’s first fight since departing the UFC, and it provides his opponent, Jesse Arnett, with a chance to make a name for himself at Delorme’s expense. Delorme amassed a 6-1 mark on the Canadian regional scene before becoming a cast member for season 14 of The Ultimate Fighter. 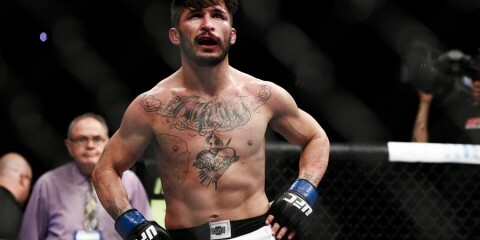 He made it to the quarterfinals of the bantamweight bracket before suffering a submission loss at the hands of future UFC champion T.J. Dillashaw. 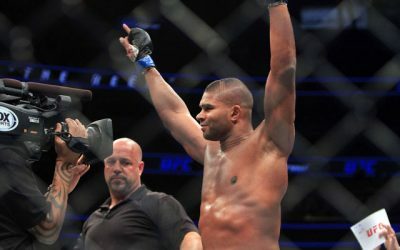 The judo black belt rebounded by winning his official UFC debut against Josh Ferguson and tacking on a win over Nick Denis. It was downhill from there. 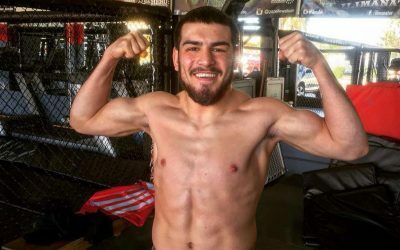 Delorme suffered a knockout loss to Francisco Rivera, though it was later changed to a no-contest when Rivera tested positive for a banned substance. He scored a win over Edwin Figueroa, but tumbled to three consecutive losses. 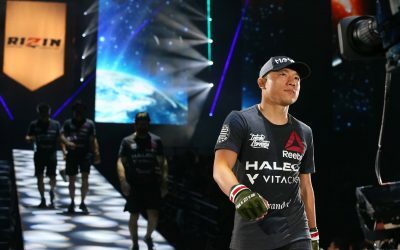 The 31-year-old was edged via split decision by Alex Caceres, suffered a unanimous decision loss to Michinori Tanaka and succumbed to a rear-naked choke in just 66 seconds against Yuta Sasaki. 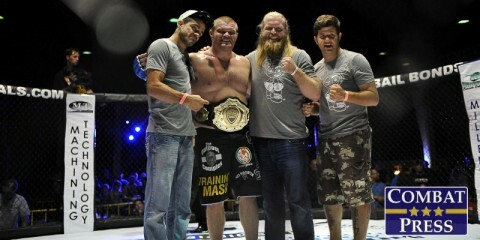 The Winnipeg Academy of MMA product is a high-level grappler who has submitted six of his foes. 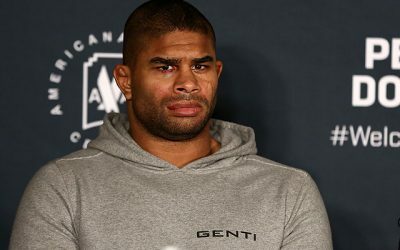 Delorme’s misfortunes could benefit Arnett, who has spent much of his career in the Canadian-based Hard Knocks Fighting Championship and Havoc Fighting Championship promotions. His career got off to a slow 3-4 start, but the “Big Cat” has found his rhythm over his last four contests. He scored a decision win over Michael Davis in September, needed less than a minute to submit Adam Imhoff, finished Souksavanh Khampasath via TKO and submitted Vince Murdock by submission. 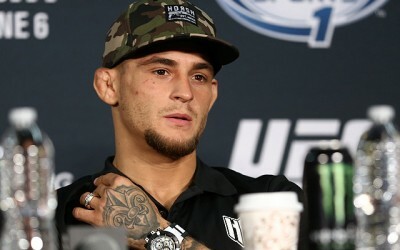 Overall, the 31-year-old has four submission victories and two wins by way of strikes. All four of his losses came via submission in the first round. 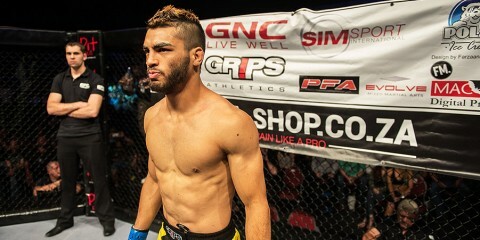 The Tilt MMA fighter is 4-1 overall since dropping down from featherweight. Delorme was never a dominant force inside the TUF house or the Octagon, but he has typically defeated all but the best competition set in front of him. Arnett doesn’t really land in that top-tier category. This is a regional fighter who has been victimized on the ground throughout his career. He has benefited from a drop in weight classes, but even unheralded bantamweight Michael Imperato was able to hand Arnett a loss in just 68 seconds. Unless Delorme has gone into a complete freefall from which he can’t recover, he should take Arnett down with ease and find a way to submit him early in the contest. Undefeated. Only one fight that has gone beyond the first round. Ask someone to name a female bantamweight who meets those criteria and the first name you’ll hear is Ronda Rousey. However, those same criteria also apply to up-and-comer Taila Santos, albeit with two less victories and a much lower level of competition. If Santos keeps winning in such dominant fashion, it might not be long before she’s standing inside the Octagon and making her case to challenge for Rousey’s crown. She’s not there quite yet, though. Right now, Santos is still competing on the regional scene against opponents of varying degrees of difficulty. Her next stop is Aspera Fighting Championship 23, where she’ll meet four-fight veteran Gisele Moreira. Santos is just 22 years old, but she has been fighting since late 2013 and has already accumulated 11 pro victories. The Muay Thai specialist has earned eight wins via strikes and two by way of submission. She went the distance in her pro debut, but has only seen the three-minute mark of the first round twice in her subsequent 10 outings. Five of her stoppages came in less than 90 seconds, and three of those checked in at less than a minute. While Santos has registered the same level of dominant wins as Rousey, she is far removed in the level of competition she has faced. In fact, Moreira holds a better record than any of the fighters Santos has defeated thus far. Rachael Cummins, with a 2-1 record at the time of their meeting, was the previous best for Santos, and Marta Souza, at 1-3-1 at the time of their meeting, remains the most seasoned competitor for Santos. Moreira stumbled out of the gates with a knockout loss in her 2013 pro debut. She righted the ship in 2014, scoring an armbar submission finish of Kessiny Mara. The Chute Boxe product added decision wins over Ariane Lipski and Priscila de Souza to bring her record to its current 3-1 mark. Despite a much shorter resume than her counterpart, Moreira holds the most significant win of the pair with her decision nod over de Souza, who entered the fight with an 8-4 record. Moreira’s knockout loss to Bianca Daimoni doesn’t bode well for her chances heading into a fight with an even more accomplished MMA striker who also possesses strong defense against takedowns and submissions. Moreira barrels forward aggressively at times and isn’t afraid to get into wild exchanges on the feet. Santos can take advantage of those habits to the tune of a big knockout finish. Moreira’s best hope in this fight is to get it to the ground. However, that’s easier said than done. The Chute Boxe fighter will press forward, but Santos will answer with a striking arsenal that is quite capable of bringing an end to this fight. The young prospect will remain undefeated, picking up the TKO victory against Moreira. It might be time for a step up in competition in her next outing if Santos really wants to capture the attention of Invicta and the UFC.